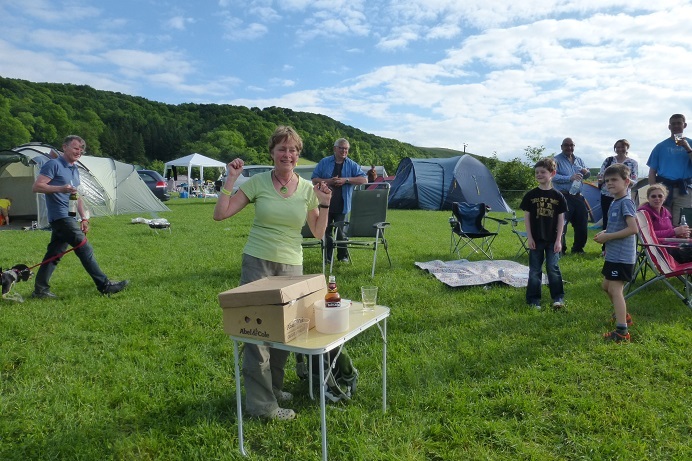 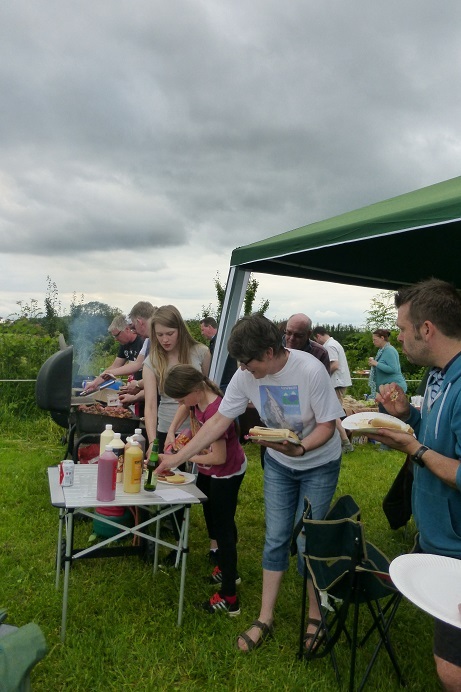 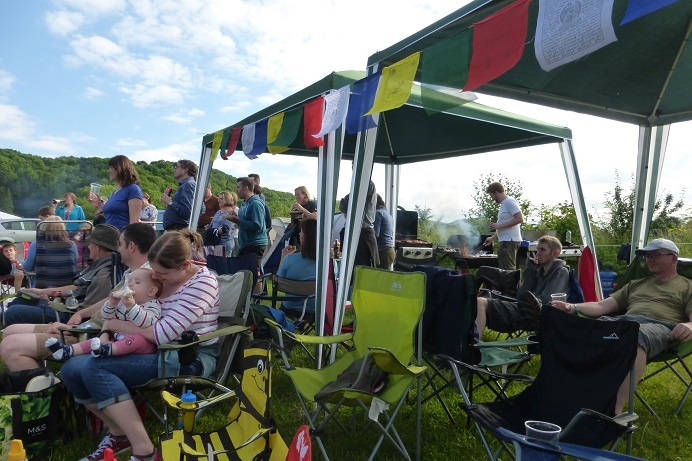 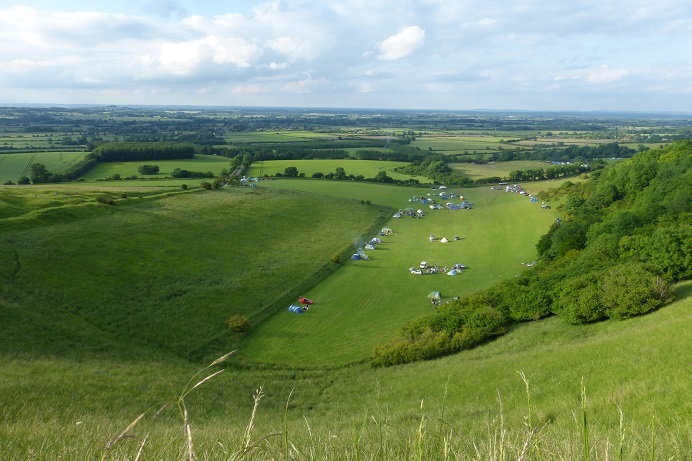 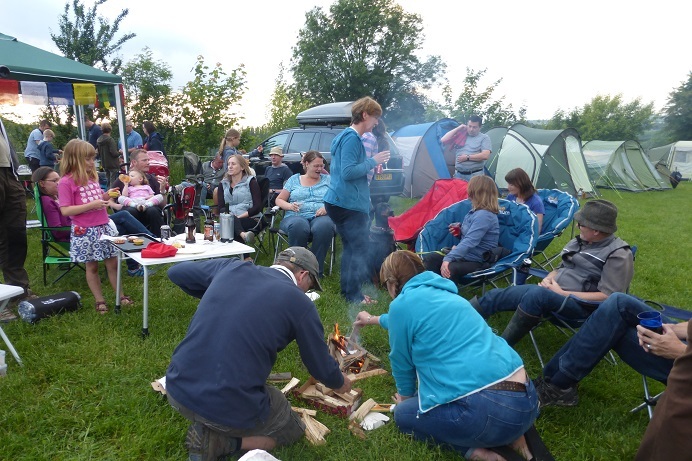 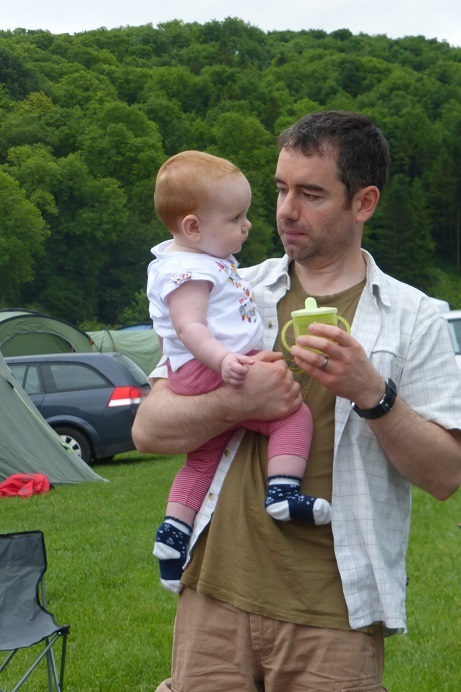 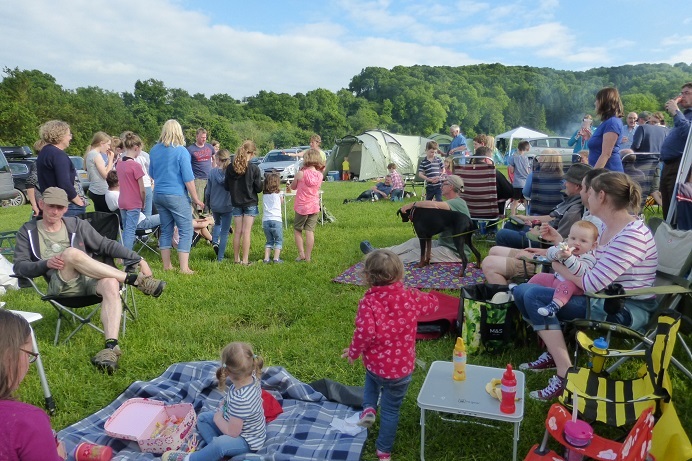 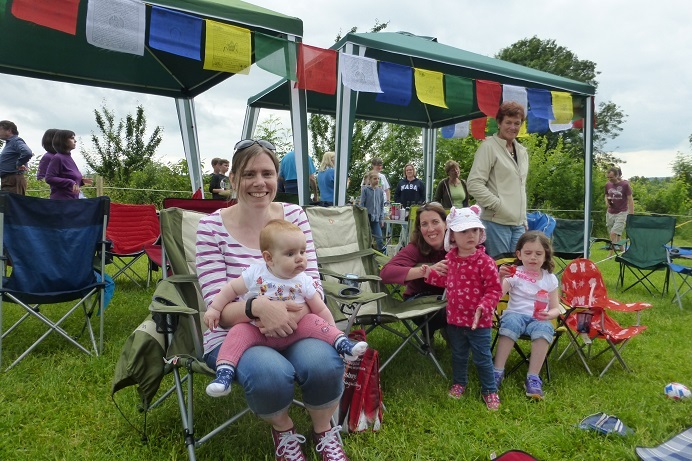 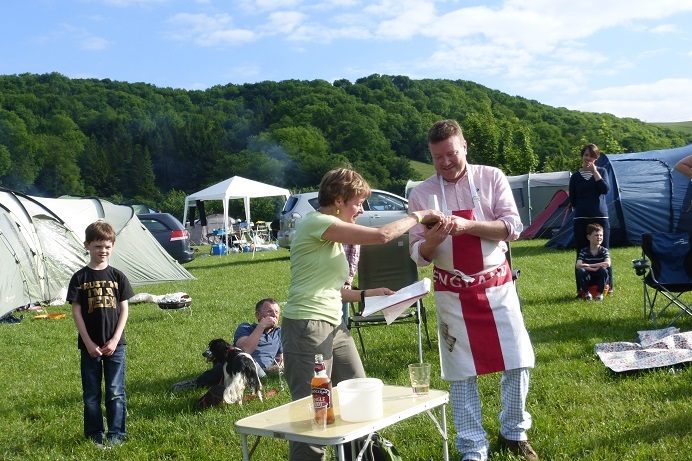 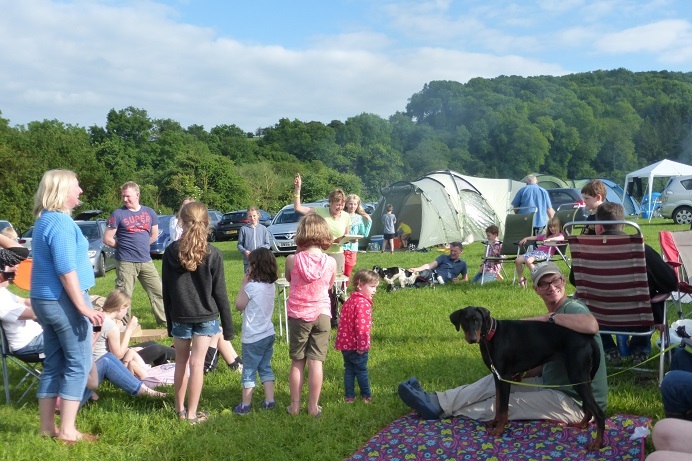 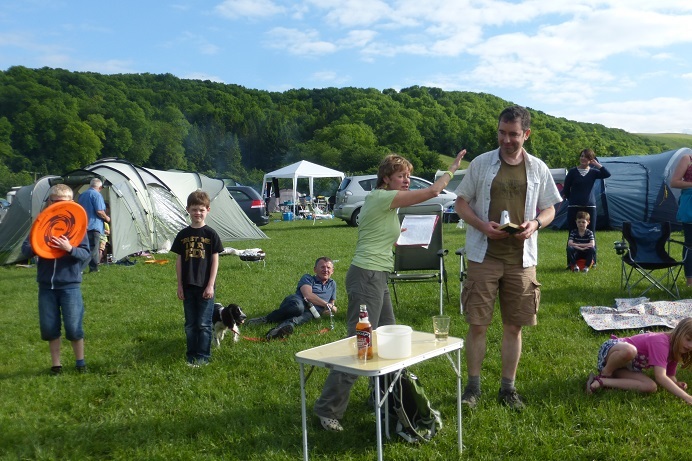 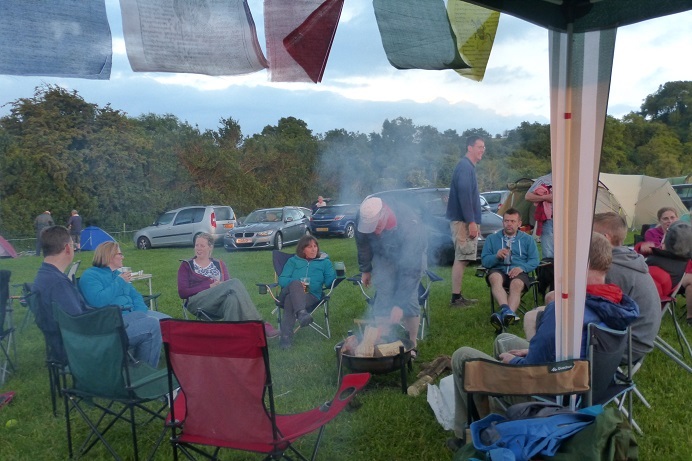 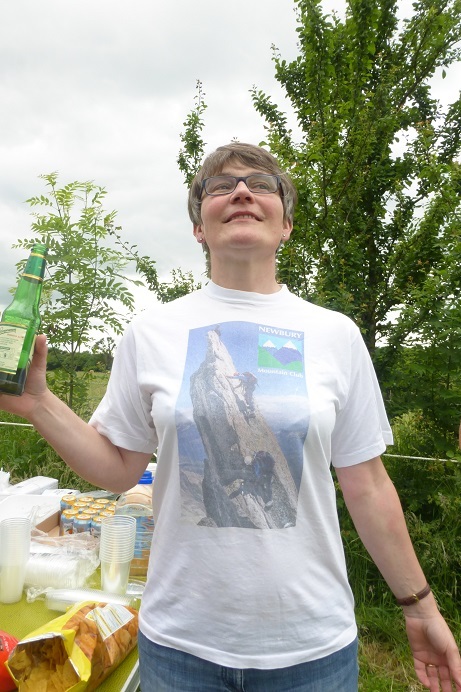 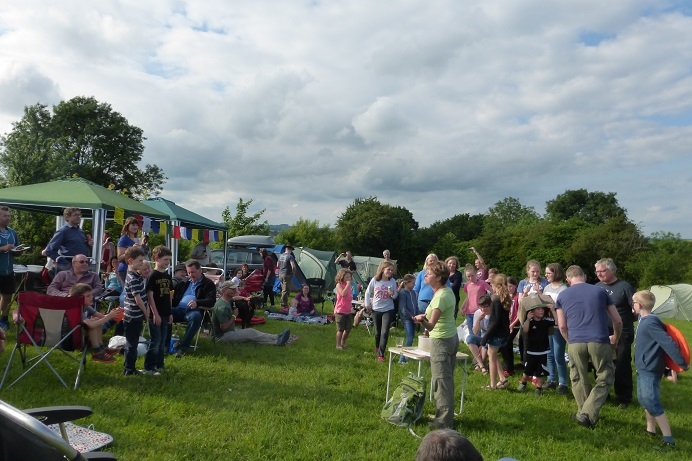 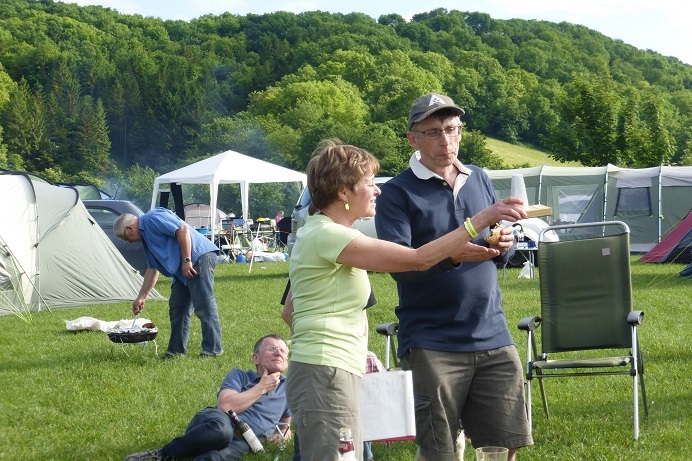 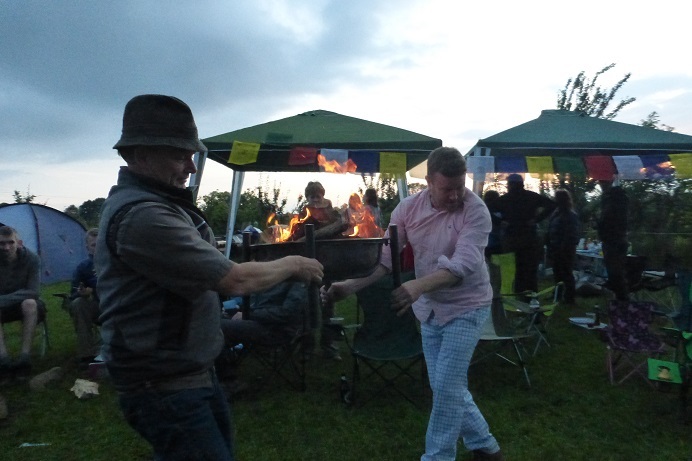 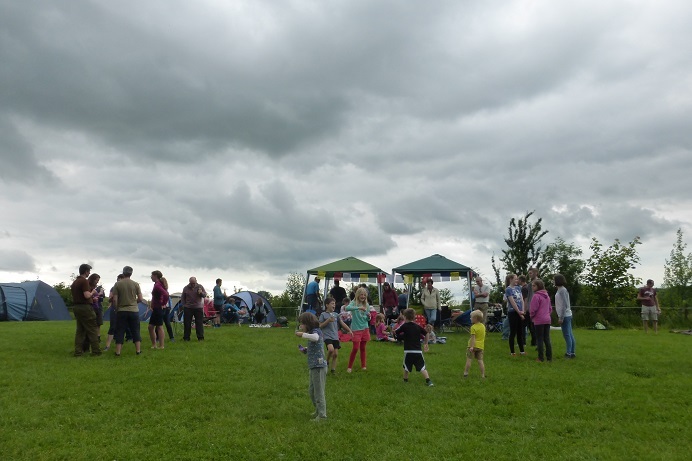 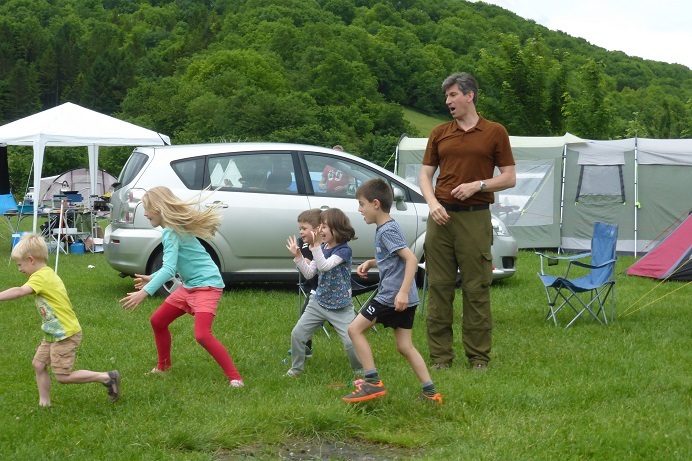 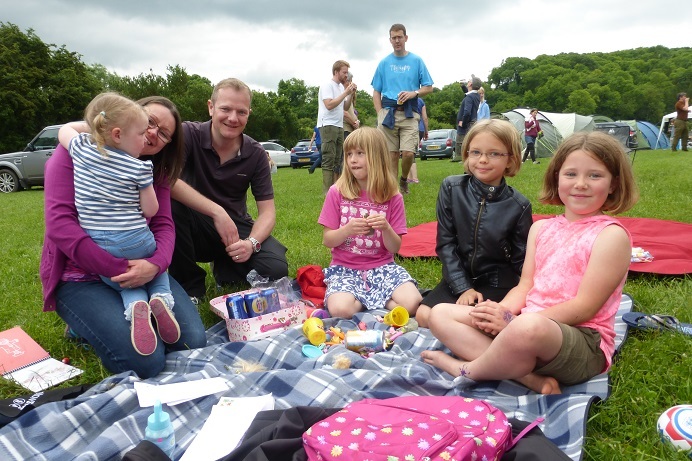 25th Anniversary, Saturday, 18th June at Britchcombe Farm Campsite, Uffington. 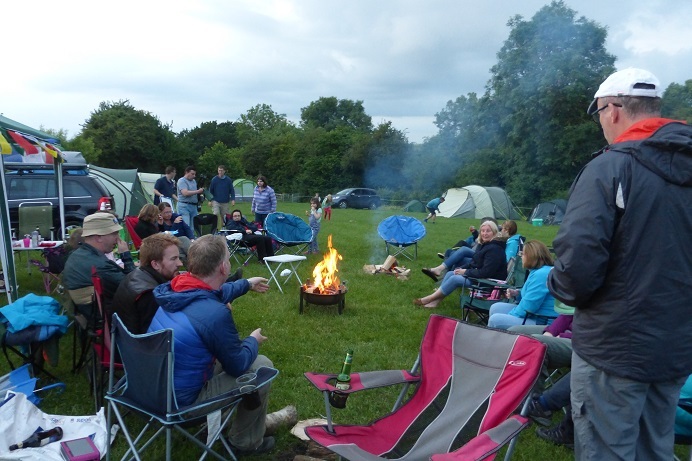 After months of planning, the weekend had finally arrived. 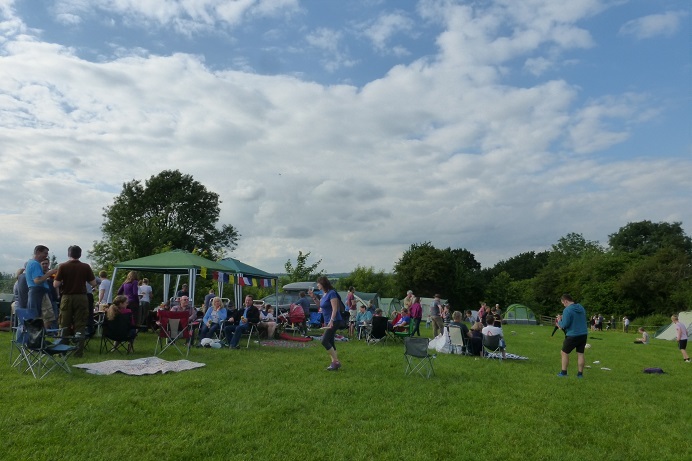 With the weather forecast looking really uncertain, the debate was on ‘Do we need a marquee or not?’ As it happened we were really fortunate that on Saturday it didn’t rain, and we had a glorious evening of sunshine. 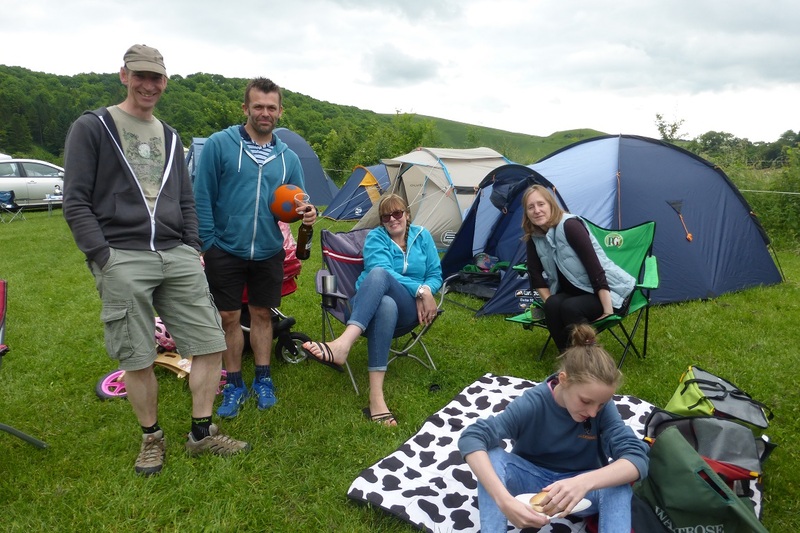 However, those who camped on Friday night had to sit through torrential rain and a thunderstorm, hoping it wasn’t going to be like this on Saturday! 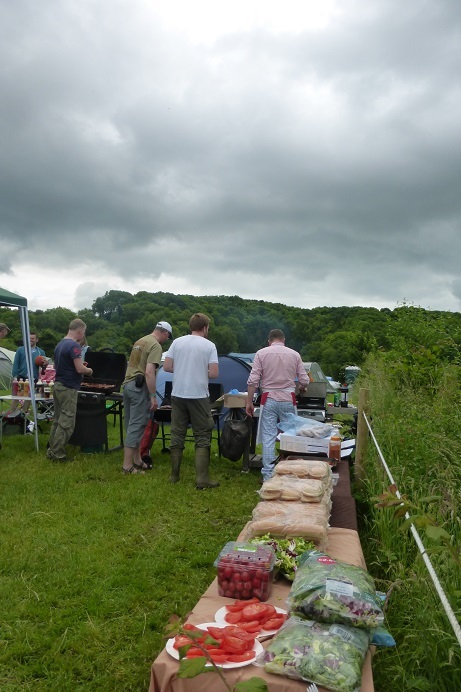 After a slow start on Saturday morning, preparations began with Dan S and a team of helpers setting up the BBQ and organising the food. 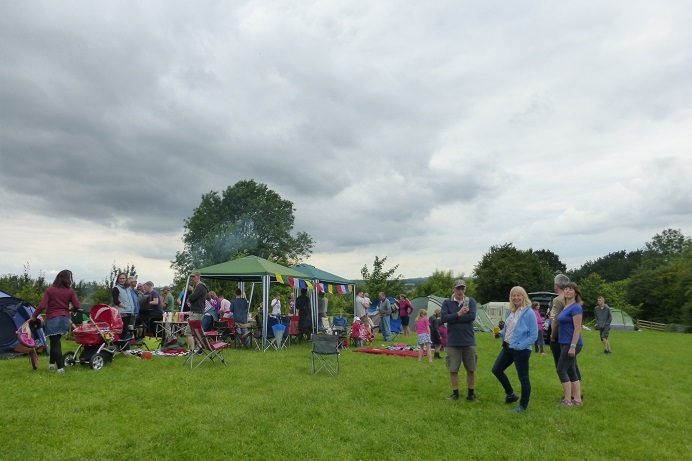 Most people started to arrive from about 2.00pm and soon the empty field was looking quite full. 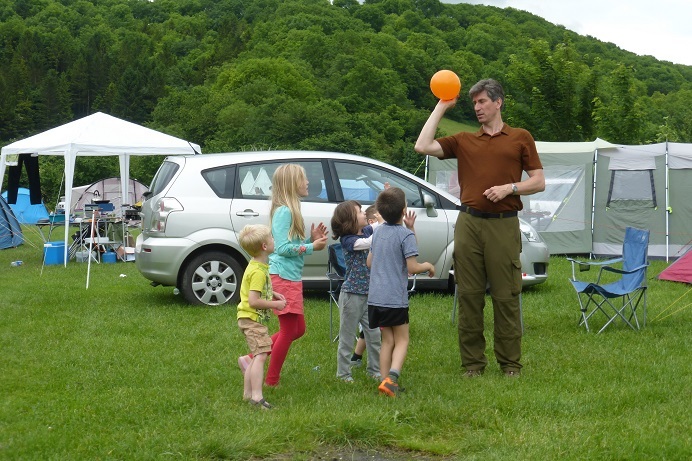 The children were happy, being entertained by a game of rounder’s, playing frisbee, football and just having fun together. 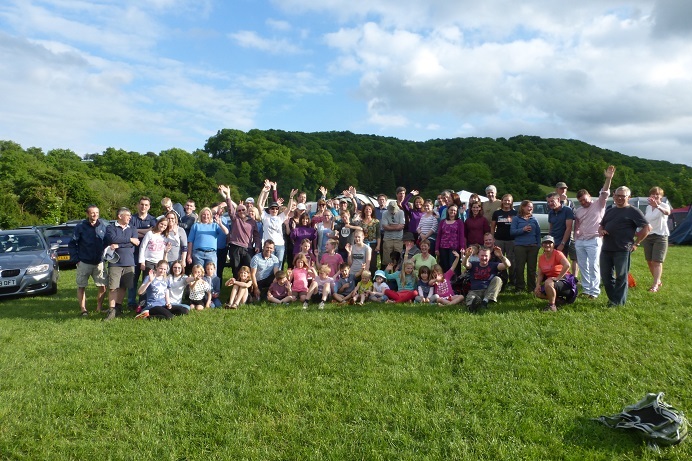 Altogether an amazing 80 people attended, including three who were at the original meeting in 1991; Dan U, Chris Essex and Katie Makant. 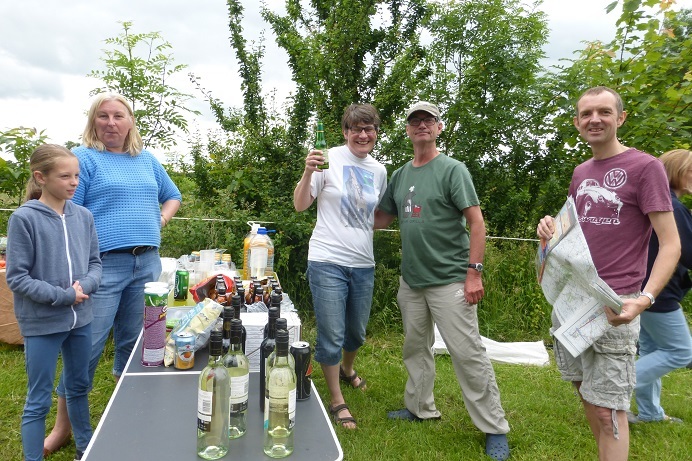 When Keyna, Sarah and Marion finally returned from their walk (via the pub) a welcome speech was given by Maggie. 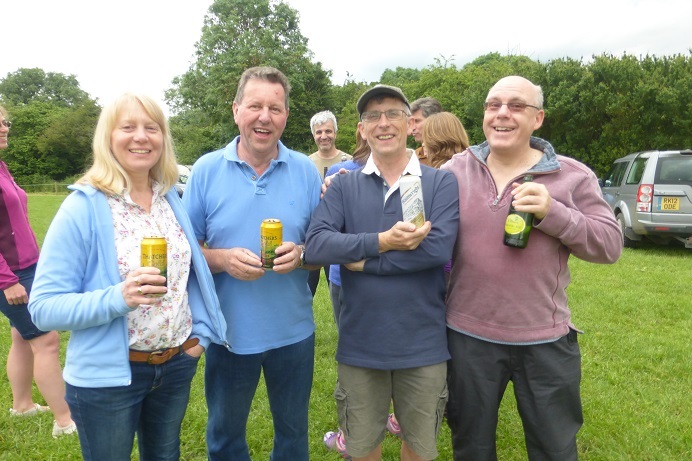 Achievement awards, made by Sarah and Andy D, were given to five past presidents who were present to acknowledge their commitment and contributions towards the club: Harry Makant, Bruce Wilson, Keyna, Dan U and Maggie. 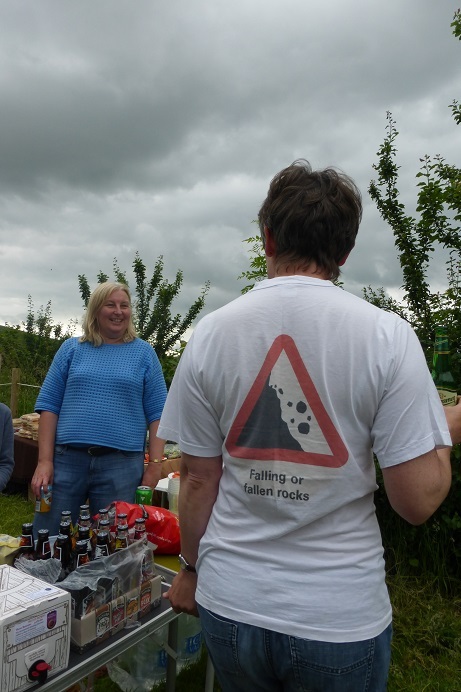 According to Dan U there is no record to say that the first meeting was actually advertised and held in 1991. 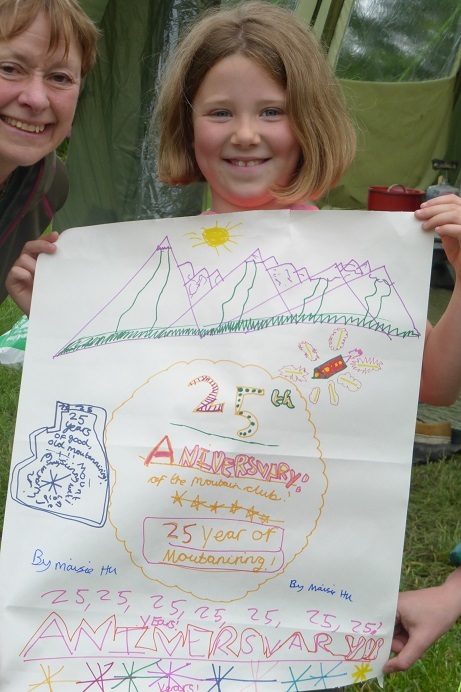 So was it the 24th, 25th or 26th year? 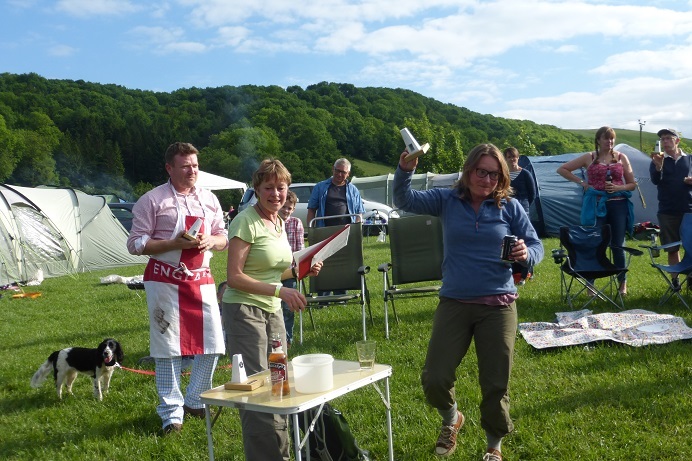 Well it doesn’t matter too much as it was a good excuse to have a celebration! 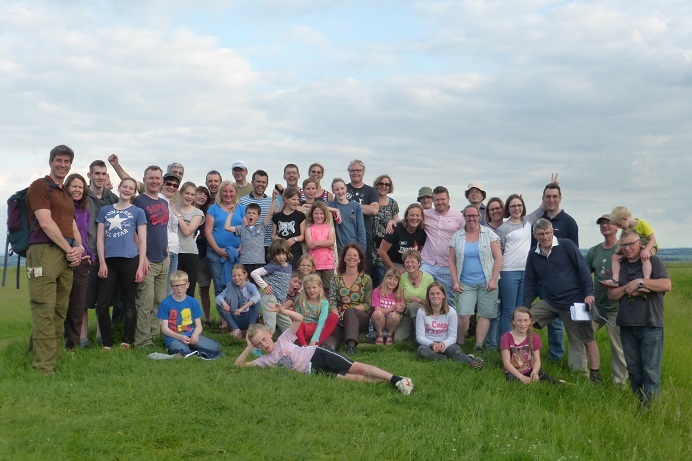 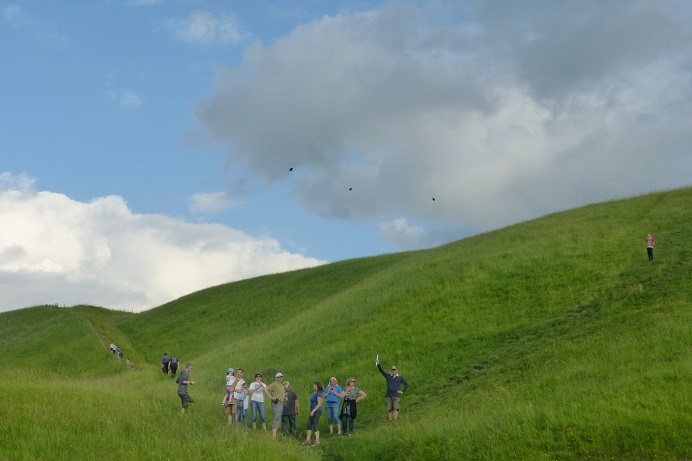 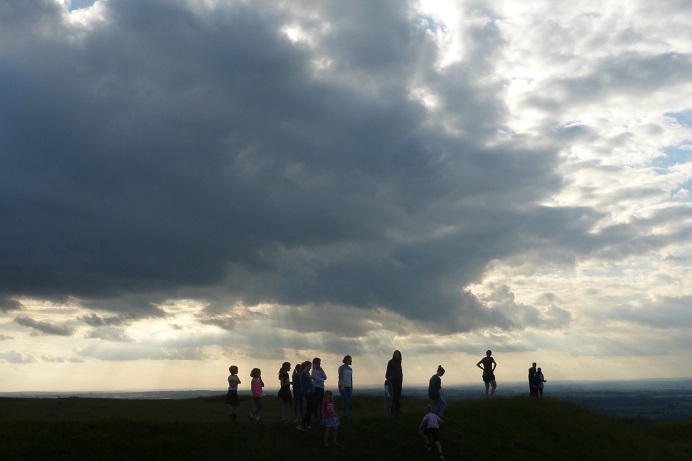 The sun was now shining and after the group photo, Harry led a walk up to the White Horse. 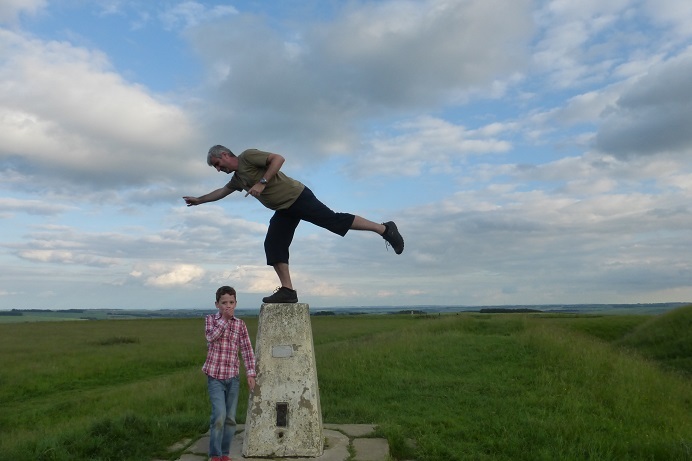 However, we didn’t expect to have to climb over several fences with barbed wire! 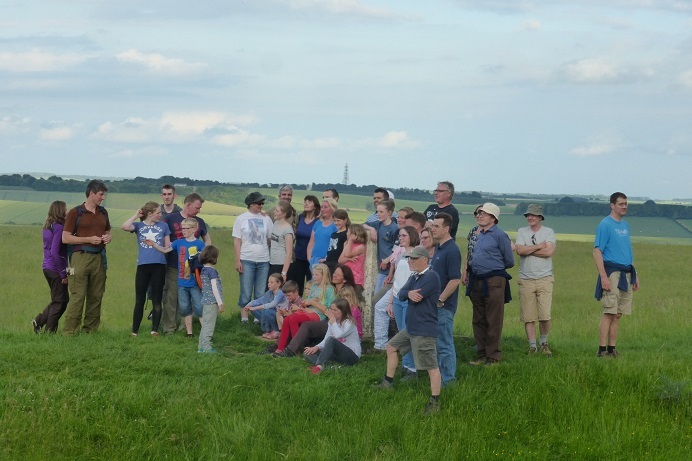 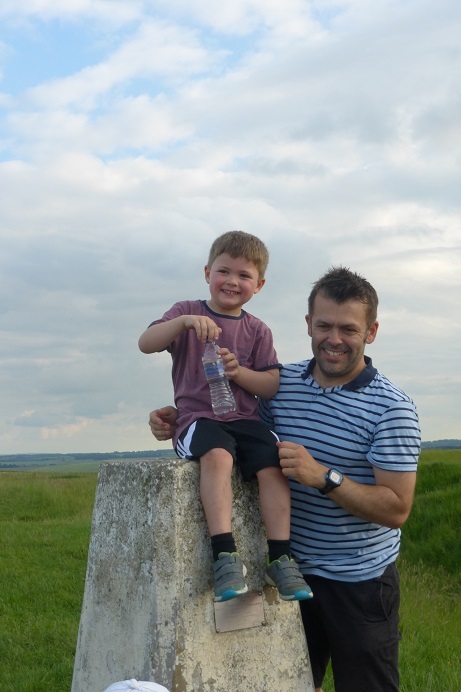 Once at the top we were rewarded with some great views of the rolling countryside and another group photo was taken by the trig point. 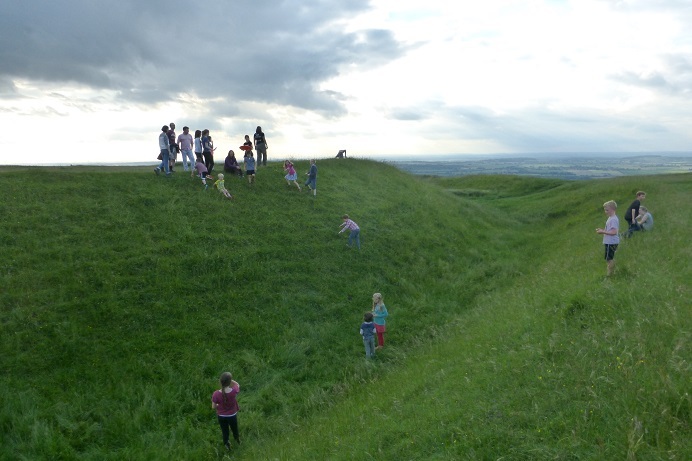 There was also an enthusiastic game of frisbee played by the children across the ditch, part of the old fort. 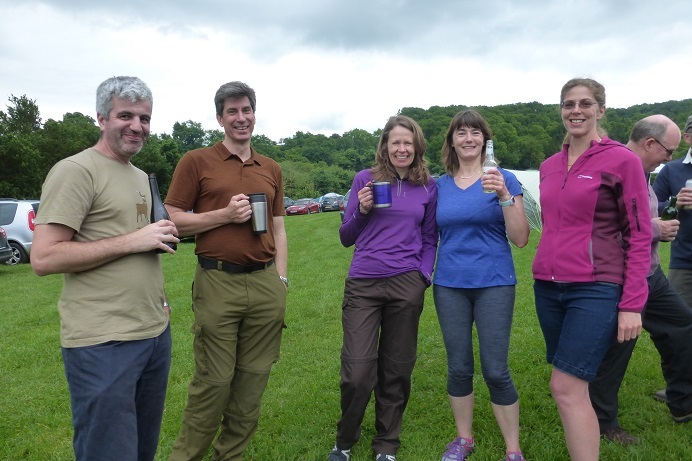 Hopefully not too many were stung when they had to retrieve the Frisbee from a rather large area of nettles. 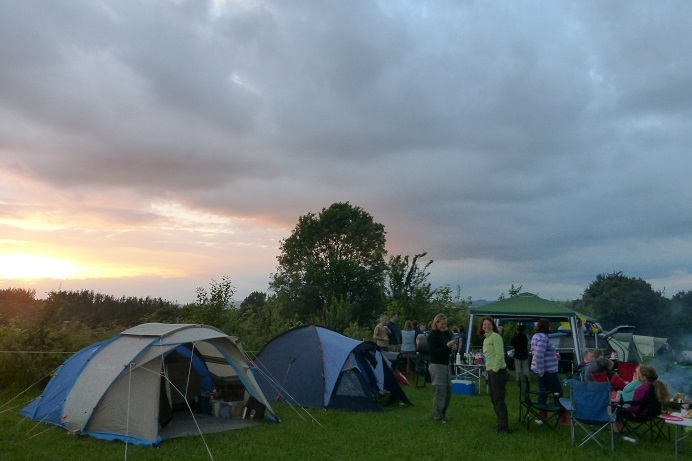 Back at the campsite the evening began. 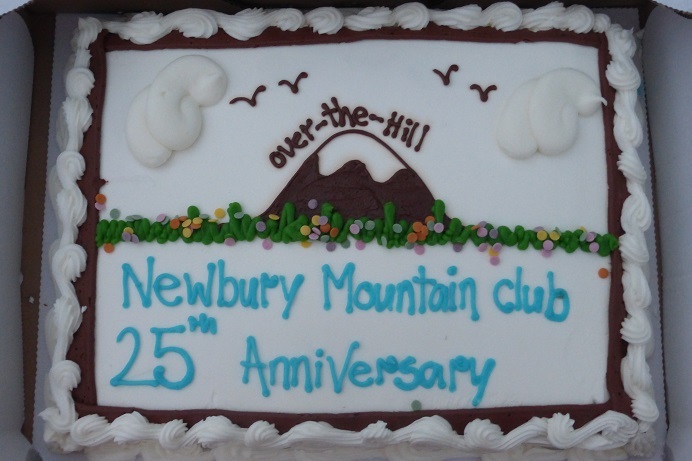 A NMC celebration cake, with ‘Over the hill’ written on it was cut and given out, fires were lit and people relaxed and chatted well into the night. 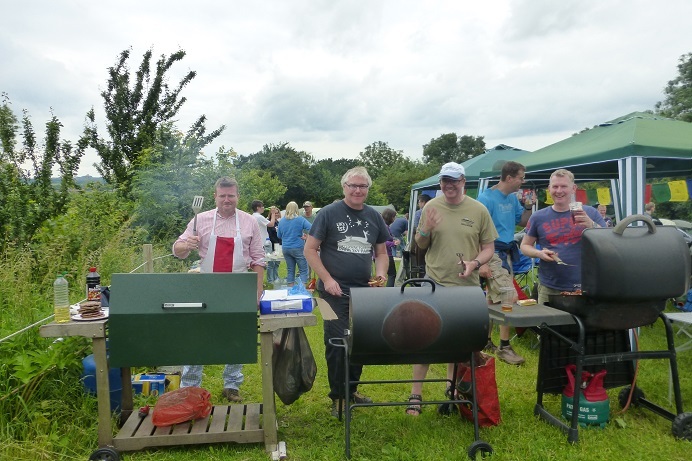 On Sunday morning the BBQ’s were lit again and everyone enjoyed tucking into sausages, burgers and chicken. 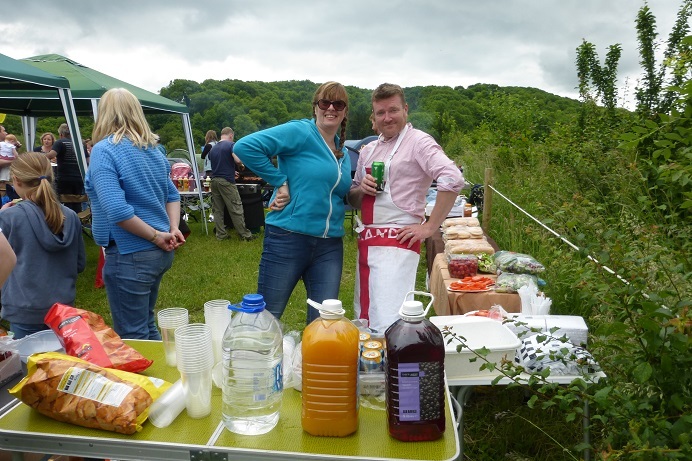 And we were concerned that we thought that we might be short of food! 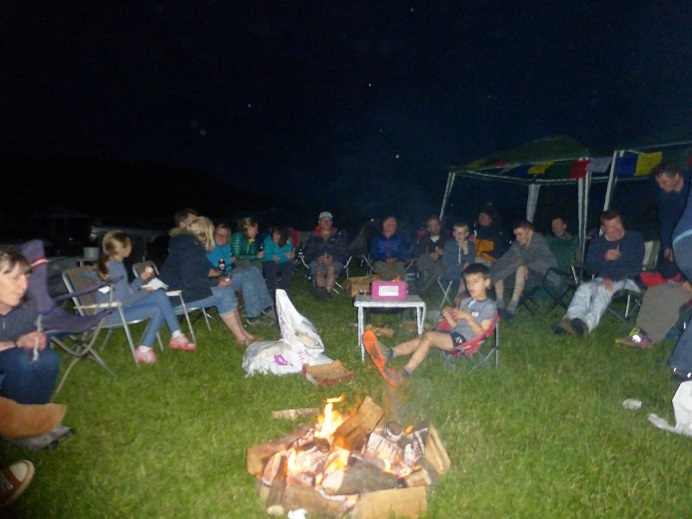 A great weekend was had by all and hopefully this will become a regular event, so people can keep in touch.